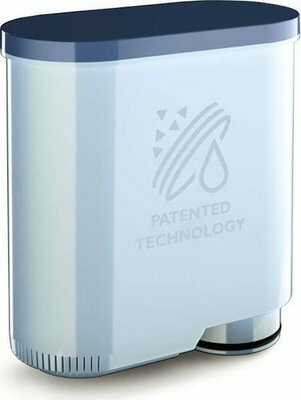 Enjoy pure water for a fine tasting coffee thanks to the innovative AquaClean water filter. AquaClean filters the water to ensure intense aroma and it reduces the need to descale your maching by preventing the formation of limescale. 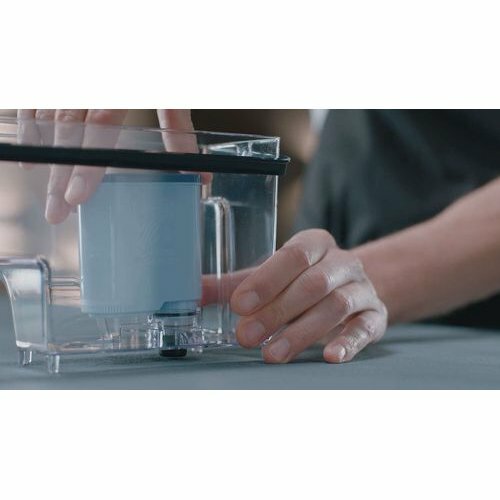 AquaClean will help preserve coffee taste for longer and prevent your machine from clogging thanks to innovating features such as the ion-exchange technology, the patented water flow and the micro porous filter. The AquaClean ensures only pure and filtered water flows into your Full Automatic coffee machine and it reduces the need of descaling. With AquaClean you can enjoy up to 5000* cups without descaling by replacing the filter 8 times. Ridding your brew of any small particles makes a huge difference to your in cup quality. The micro-porous filter prevents impurities from contaminating the water, so you can guarantee every cup you make will be fresh, clean and delicious. Such an enduring feature could not be quicker to install. 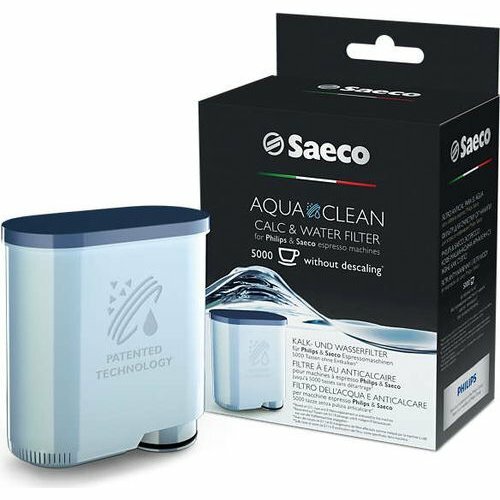 Just plug your AquaClean filter in the water tank of your Saeco super-automatic espresso machine, activate it via the user interface, and you are ready to enjoy up to 5000 pure coffee cups without descaling*. By activating AquaClean filter you automatically de-activate the descaling alarm. Endless, hassle-free coffee of the finest quality is yours to enjoy - and it's not until after 8 filter replacements that the machine will reactivate the descaling process alarm. Machines equipped with AquaClean have a sticker on the water tank.